Cuddles the Cheeky Duck will not be missed in a crowd! 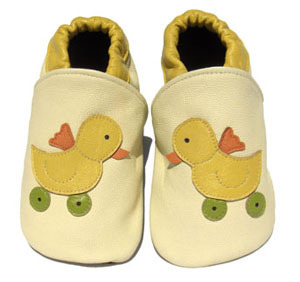 These are the cutest pair of cream Cheeky Little Soles shoes, perfect for any baby boy or girl. This design is a perfect unisex baby shower gift, can also be paired with a box of our unisex socks!